AL FILREIS: I want to say that all these mics work, and I would like to invite anybody in this room, including the presenters, and the presenters will have plenty to say if others don’t, so I can guarantee that. What I’d like you to do is find a mic near you — they all work, right, James — and either say something, respond, you don’t have to ask a question. Even if you don’t ask a question I’m sure that the presenters will have something to say in response. And of course, I’m giving you a little time to think while I’m saying these things, but I would also urge you to say your name clearly so that Michael Nardone some day will be able to transcribe this accurately and get in touch with you. I remind you that there’s a mic right here and here, and anyone anywhere can wander up to a mic. Conrad, I know you’re thinking of something, I invite you to please find your way to the mic, and say who you are and we’ll start. CA CONRAD: I’m CA Conrad, and I know that Bob Perelman is the one who brought up the Donald Allen anthology, but I was wondering if any of the presenters wanted to speak to this: I’ve always hated that anthology because you have forty-four poets and there’s only four women. I’m glad that Michael Hennessey brought that up. That’s just scandalous. 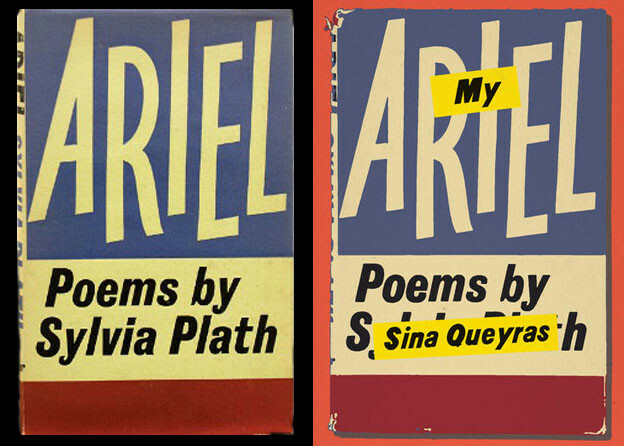 There were so many important women poets in the 1950s. I mean, right alongside Olson at Black Mountain you had Hilda Morley. You’ve got Rosalie Moore, who is the most fervent voice of the Bay area group The Activists. And you’ve got Merle Hoyleman, who James Laughlin published in New Directions, ’58 and ’59 in particular, including her long sequence titled “Letters to Christopher.” I just can’t believe his vision, I mean, if we’re the legacy of his vision, you need a prescription, I believe. I was wondering if somebody could address that. RON SILLIMAN: Three of the four women were people whom were close to Duncan, in the most literal sense. Madeline Gleason, Helen Adam, whom he thought of as his protégé, and Denise Levertov, whose correspondence with Duncan was still ongoing and they were still good friends at that particular point in history. He certainly did a job, I think, of discounting not just the people you are referring to, but Joanne Kyger, Diane di Prima, Ruth Witt-Diamant, and other people who could have been brought into that frame at that point in time, and he was still doing that up until he felt he discovered what he thought of as a new voice for women’s writing in Lenore Kandel in The Love Book of 1967. That’s, I think, the largest single piece of evidence that Duncan was more than just an advisor to Donald Allen. I think there’s a great dissertation for somebody who can wade in and do it and really figure out what Donald Allen’s contribution in The New American Poetry actually is, because I think it’s substantial. SPEAKER: Do you mean Duncan? SILLIMAN: No, I mean Donald Allen. SPEAKER: Oh, sorry, you’re working backwards. SILLIMAN: And looking at that and Allen’s other publishing ventures both with Grove Press and Evergreen, and then later with Four Seasons Foundations. He’s somebody who has not been looked at as an intellectual figure in his own right, but there is this profoundly problematic element. The New American Poetry is also a book that only has LeRoi Jones, and Robert Duncan couldn’t go anywhere in those days without seeing Bob Kaufman. As Rod Smith’s new book [What’s the Deal?, New York: The Song Cave, 2010] says, what’s the deal with that? FILREIS: Speaking of Rod Smith. I’m just going to give this to you, Rod. ROD SMITH: Well, Creeley’s name has come up a number of times, and I’ve been working on his Selected Letters with Peter Baker and Kaplan Harris, so I just wanted to read the opening paragraph of a letter to Jonathan Williams. Creeley was then in Guatemala, he had gone there with Bobbie, then Creeley, now Bobbie Louise Hawkins, and their children the year before. It goes on, but just a bit of Creeley’s voice. FILREIS: Thank you, Rod. Great to have Creeley there. Frank Sherlock, anything on your mind? While you’re thinking, here’s Bob Perelman. BOB PERELMAN: Actually, I’m going to ventriloquize what Frank is about to say. First of all I want to acknowledge the very obvious, which I mentioned too fleetingly in about seventeen of my seven hundred and fifty words: that, of course, there’s a yawning lacunae in The New American Poetry in terms of women and race. And there’s no way around that, no recuperative reading. It’s a gap in the universe. I was really educated by Michael [Hennessey’s] piece on Daisy Aldan. What a loss for the future that she seemed to suffer a Mina Loy-like eclipse. Just like Mina Loy, she sounds like she was more present, and thus was ahead of most of her contemporaries. Another great thing Michael said, and I’ve never really thought it so clearly as when I heard it, was that the Allen anthology was canonizing, and how effectively self-canonizing it was. But granted that all this is very true, nevertheless what I tried to slip in in the last seventeen of my words was that I find a capaciousness in the Allen anthology, and what I take to be Allen’s vision: the very different levels of finish, of professionalism, the messiness of that anthology. I mean, in hindsight, Olson is the professor of the group, but then there’s somebody like Orlovsky talking about washing his underwear every thirty-three months, it’s amazing that that’s in there at the same time as Olson. Or that Schuyler and Ashbery and O’Hara’s savoir faire is there next to all sorts of absolutely rough and ready stuff. It’s that kind of non-aestheticized openness that I think we all today still really need to learn from. I think we live in a very balkanized time with a lot of aesthetic closure, and that The New American Poetry for all of its social wounds and amputations has a lot to teach us. FILREIS: Thank you, Bob. Frank. FRANK SHERLOCK: This question is for Charles, or anybody who wants to jump in on this. Given that Larry Eigner was not that cosmopolitan of a guy, what do you make of the cosmopolitanism in the poems and maybe where that comes from? CHARLES BERNSTEIN: That’s the extraordinary space of the blank or the silence that he faced and actually his commitment to listening. One of the striking things about Eigner is the radicality of the work. I wouldn’t compare it for better or worse with his contemporaries, but I don’t think there’s anything that's more radical in terms of the calculus in the imagination of relations, and the force in which those come together. So, I think, there are a lot of ways or terms in the future through which Eigner’s work will be thought of. Certainly in terms of disability and Michael Davidson’s important reading, and in the wider sense of a queer existence, which, surely … There’s a poem in there about his mother that is just amazing, which reminds me of the Anacin commercial from the early ’60s: “Mother, please, I'd rather do it myself!” [one commercial from the ad series is up here], where Eigner says, I should quote this exactly, but, he says, “I can eat the food myself, just give me the time” [c. 1954, #g7, Collected I:143]. And you read this, and that’s amidst all this other stuff. So, maybe the microcosm of the social space for him is as macrocosmic as it is for everybody else. Maybe the problem that we have to think through is who these people are as they emerge. That’s why, and this is what I said in response to the ’50s issue, the poem I read about the future, that's an anti-apocalyptic poem. There’s a lot of issues around the apocalypse, the bomb, the extermination process of the Jews that certainly would have haunted a Jewish American family in Swampscott. And what he is saying is something about adhering to where you are and just doing the best you can with the moment that you’re in. It sounds a lot like a whole range of other things from the ’50s that I mentioned, and Eigner was able to come to that — he did read extensively, he was obviously a kind of genius, no question about that because how could he have done what he did — but at the same time he was able to have that consciousness just by being where he was when he was, thinking about it and thinking with every word that he articulated. Surely, Robert Creeley got a letter from him and wrote him back, and that is a kind of miracle. SMITH: The Eigner-Creeley correspondence starts before the correspondence with Olson, actually. It’s nowhere near as voluminous, but it’s clearly important to both of them. FILREIS: I just want to say, also, and I invite anybody to say more about Eigner, or to switch the subject, I just want to say that I felt confident until tonight, I felt confident doing era-related, historically contextual readings of all of these books. I mean, I’m not bragging, I think one can do that, and it was Eigner I thought I couldn’t because I had this stupid idea that Eigner is a bit out of time or out of context, and what you said in your remarks and what you just said now and the exchange you just had with Rod make me want to go back to Eigner and see how this really is a book of its times, these are poems of their time, ’53 to ’60. BERNSTEIN: His work really comes together with Another Time in Fragments, the Eigner that most of us know, though there are these other poems in there. But Another Time in Fragments, like “calculus,” is a response to partly what we were talking about, which is difference and connection. Surely, Eigner was about as differently abled as anybody could possible be. He was in his own space; balkanization doesn’t cover it. He was completely in another time. When he says another time in fragments, he means that, but he also gets you to rethink what all of those terms mean. That fragments don’t separate us, but are able to link us together if we understand poetry as a calculus and social space as a calculus. FILREIS: A footnote to that: I recently reread Ed Dorn’s — I guess it's The Newly Fallen, which is either ’59 or ’60? ’60 — and the expressions of apocalyptic feeling are in both, but very different. They come from very different places. So, it’s interesting to think of the two of them together. Rachel? RACHEL BLAU DUPLESSIS: It’s a little hard to do the short course on feminist history in response to some of the comments that have been made, but I just want to tell you that the way it would have gone then, approximately, is that women were “just not good enough.” That’s a very familiar canard. It also applies to Blacks and other people. I was recently reminded of that by an anecdote that was told to me about, it’s a hearsay anecdote, so I think I will not say exactly who told me, but just why were there no African Americans on your reading list, Madame Professor, to somebody whose name we would recognize, and the question by a black male at this university. “They just are not good enough.” So, remember that. SPEAKER: Was that a quote? DUPLESSIS: That was a quote, yeah. It’s the pull quote. The money shot. So, just remember that you weren’t good enough. That’s the first layer of the vectors. Second of all, in the ’50s and out of the ’50s, you have a movement that is still going on worldwide for the decolonization of women, and of sexual minorities. De Beauvoir had just been published in English in a very inaccurate translation, but nonetheless, it was sort of like a beginning. It was an intellectual salvo of trying to identify females, at least females as a particular group, not, so to speak, under couverture intellectually, or coverture, which was an old theory about marriage, and I’m not so much under the opinion of the family wage, which was sort of a ’50s theory about women not having to work because they’ll take those jobs from men, and so on. So, women, for many, many years in these cultural realms were sort of damned if they did or damned if they didn’t. Whichever way they went, it wasn’t enough. Good enough or bad enough, however you want to view it. So, thinking of all of this, I think that the message to the future, so to speak, from somebody who was alive enough to have read the whole Pack-Simpson anthology, with Robert Pack as my teacher, I would add, it was the only truth at that point, except that luckily I got my hands, God knows how, on the Donald Allen anthology. FILREIS: Was Pack at Columbia? DUPLESSIS: This was at Barnard College. He was my teacher. And I recommended Erica Jong’s book, I think it’s Fear of Flying, but it might have been another one, which has a fairly accurate account, because she had a tape recorder in her head as far as I can tell, an account of Anatole Broyard, who had his own issues, you might say, together with Pack, and they actually said women can’t really write poetry because they don’t experience blood and guts at 3am. Okay, so, that was us and we were taking notes. FILREIS: I’m sorry, what? What did you take that to mean? SILLIMAN: Maybe men give birth. DUPLESSIS: You are talking to someone who was lobotomized at that time, and I got my brain cells reattached a little later. So, here’s the thing. Just don’t go back there. Okay, that’s my only advice to the future. DUPLESSIS: There’s two more teeny points, and that is the theory that women are both coequal with everybody else, and coeval with everybody else. That is, we live in the same historical time as dominant culture. I think I’ll stop there. FILREIS: Thank you, Rachel. 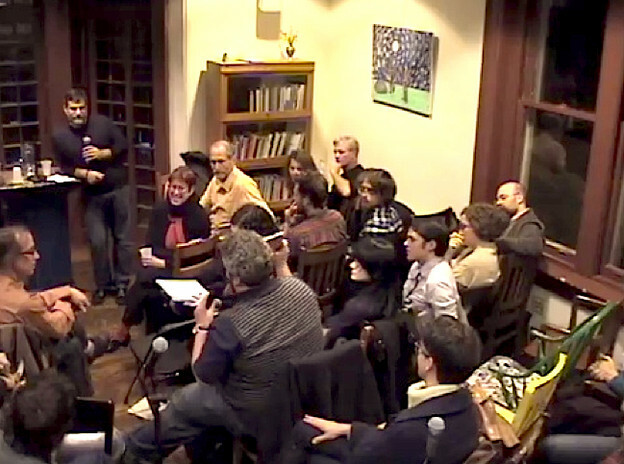 I would like to invite someone to speak, or any one, many people maybe, to speak to what, after hearing this program, you take to be some advantage derived from a convergence of discussions of books published by different poets at different ages coming from different angles to one single year. Is there any advantage that you got from hearing about all these people working at the same time? Some people at the very beginning of their careers, some people further on, and so forth. Vaclav, you were going to say something else? Would you speak to that, and then say whatever it is you were going to say any way? VACLAV PARIS: I’ve been noticing a lot recently that nostalgia seems to be creeping in more and more in critical discourse and in contemporary art, and the very act of having a symposium on the 1960s is a sort of nostalgic act. I imagine twenty years ago you’d feel that that was a retrospective action, something that leads you back into a sort of academic mode of studying history rather than a poetic experimental mode of moving forwards. No? Rachel is saying no. Is that okay, Al? PARIS: I suppose not exclusively. FILREIS: Because I’m tempted to take this portable mic, Vaclav, and give it to Danny Snelson or Erica Kaufman, the “younger people” on the panel, who might not feel a bit of nostalgia for 1960, technically not at all. PARIS: I’m not sure it’s just 1960. I was reading a book today which was talking about the fall of postmodernism, the way we stopped using the term, as well as the rise of nostalgia in the place of postmodernism, going along with the rise in popularity of Benjamin and his theory of ruins in critical theory. FILREIS: It’s a fair question and a good one. Danny first, then I think Ron might have something to say. DANNY SNELSON: That’s sort of what I opened with too. I think there are a lot of ways that in looking at a year like 1960 you can open up new vectors that aren’t quite nostalgic. Like I said, most of the people in the audience have never even touched a cartridge, nor imagined its performance. When exploring this proto-electronic work, or, for example, when artists in cinema look to proto-cinematic forms beyond recognition to see where experimental cinema can go — everyone from Stan Brakhage to Ken Jacobs — the forerunners of experimental film looked to magic lanterns or proto-cinematic forms, which are ultimately more experimental than the works that we get once were used to the conventions of narrative film. A lot of these works in the ’60s like Cage and of course the Mac Low piece is rich in a similar way. And I think the arguments about the 1960 anthology speak to that too: there’s a different kind of richness to the experimentation there that has been codified or has become so much a part of the language it’s hard to recognize without returning to an unimagined past. These things have to return. FILREIS: Before Ron speaks, can you restate where you heard nostalgia, and what it amounts to? Certainly not in what Rachel said recently? PARIS: I suppose not, it was more of a question of having a symposium on the 1960s, to what extent is it a nostalgic act? And to what extent do you see this sort of meeting as linked to a turn to nostalgias. SILLIMAN: I think if it were a reification of 1960, I think we would be guilty of that. But, in fact, I think it’s more of a deconstruction, although I feel it’s very partial. One of the things that was most useful in different discussions was hearing exactly where people were when they were working on different projects, Daisy Aldan being a good example. There were some others where it would have been very useful for people to have thought about, you know, Bill Berkson who was what, twenty-two, twenty-three in 1960, and his relationship with somebody who was old enough to be his father, Frank O’Hara, who was also gay where Bill is not, there’s a lot of dynamics going on there that could be fleshed out in a much broader format. I think that ethnic and gender discussion points at some of the fissures that are deep and need to be explored. One of the things we haven’t mentioned today, although I know Rachel I think can cite it, chapter and verse, is the section in A Quick Graph in which Robert Creeley asserts that women like to be raped, which did not make it into his Collected Essays because at a certain point in his life somebody must have talked to him and he revised it. But, in 1960, thereabouts, you could write that without people actually freaking out. I can’t imagine in the year 2010 an equivalent statement. FILREIS: Kristen, I’m going to invite you to comment on what it was like to go back to the early Jones, because, really, it’s a precareer thing it seems to me. KRISTEN GALLAGHER: Well, going back to Jones as a way of looking at ’60, I have no nostalgia whatsoever for 1960. It’s a tragic and painful thing. I felt devastated many times actually trying to deal with this, because what Jones wants, regardless of what the people who edited certain anthologies were like and what they thought in their minds about women or black power, I think what Bob’s trying to say is that open form poetry invites certain kinds of, that there’s flexibility there that invites others in, whether people like Duncan realized it or not. So, what Jones saw there was the work, and he wanted to be part of that. He wanted to be a New American Poet. He wanted to be a Beat. He wanted to be New York School. He wanted an aesthetic life, but social conditions did not allow that for him. And he wanted it bad. He did not want to be political at this particular moment. He was driven to it, forced, and it’s sad, because if you were white, that would just not be happening for you, and you would not be likely to even know it was happening for anybody else. So, no nostalgia for 1960 here. FILREIS: Thank you. I’m going to look to see if there’s another question or comment, and yes, you have a mic right next to you. FILREIS: Vaclav is never critical of anything. He is completely innocent of criticism, but you can impute anything you want to him. BORUSZAK: But despite Charles bringing up that Eigner’s work was written all throughout the ’50s, just published in the ’60s, this symposium seems to discount 1959 or 1961 as equally important years. So, I was just wondering if anybody wanted to, I guess, rescue another year, to say that it is as important as 1960? FILREIS: And he is still revising at the last minute, but some of that stuff goes way back, and the dream that generates that very first poem goes back to at least ten years before that, or something like that. So, yes and no. Guilty, but also innocent. Charles. BERNSTEIN: The nostalgia issue goes back to what I said initially, just listening to everybody else, what are our affectional relationships? One of the first things I did when I heard 1960 as a year, was, you know, where was I? And I made a list, which I didn’t get to, of the television shows that I would have been watching at the time, from The Jack Benny Program to Gunsmoke. FILREIS: And, by the way, Charles Bernstein does a fabulous Jack Benny imitation, with the timing. BERNSTEIN: [pause] Your money or your life, please. But, nostos, if we’re going to talk about it, is going back home. And it isn’t a negative term necessarily. I think certainly there could be a nostalgia, but it would depend upon what it was for. Curiously, in Eigner, and one of the things that’s most attractive about his work, is the utter absence of nostalgia or sentimentality or victimization, which, surely, I project in whenever I read of him. I’m always reminded that he doesn’t have that. I guess he can’t really afford to. The other thing I want to say, though, is that a historical study of 1960 for me, and I assume this as a kind of talking point with Al, that this has to do with the ’50s despite anything else. That’s what 1960 means to me: work that was done in the ’50s that might have been published in 1960. It’s a curious fact that Eigner’s first book was published then. I would say that if we talk about the 1950s, while it’s important to be as harshly critical as we can possibly be about all the things going on, and we ought to extend that: I don’t expect poets and poetry communities to be any better than their times. The deformations of the ’50s are very powerful as are the ways that people respond to those deformations. So, it isn't a shock to me. “I’m shocked, shocked that there is gambling [misogyny, racism] going on in this establishment!” That was the nature [of the times]. I would also want to say, thinking of Michael Davidson’s San Francisco Renaissance book [and Guys Like Us]for example, that in thinking about that particular moment in San Francisco, that that culture there was responding to some degree — they were white men — they were responding to enormous violence in their everyday lives that I never experienced, so I hear the criticisms, and it’s right, but also I’m not in a position to criticize. I mean, I am and I am not. But I think in the ’50s, in that context of what’s going on, one has to imagine what those communities were. And why they often became paranoid, isolated, and even misogynist. And Robert Creeley didn’t say exactly what Ron said, he said, thinking of [an exhibition of the work of Franz] Kline, that it was like being raped. Truly a comment that is offensive, and he was offended by it … In any case, [as Davidson has described so well in Guys Like Us] Creeley is as part of a male culture as Olson and so on that one has to understand within that frame. [And we need to read these poets, and ourselves, in terms of their social dysfunctions.] But as to whether we are better now, I don’t think so. I think there are some advantages, but when we look at the macroculture now of what’s going on, when we have a Congress now, a Republican Congress that refuses to respect the civil rights of gays or women… [And our own microcommunities are surely not without their problems, anyway mine have plenty.] So, I would say contextualize and historicize. FILREIS:And I’m going to take just twenty seconds to disagree, and then I’m going to invite not all but some of our presenters to get in a final thought that they hadn’t had a chance to say. Not all but some, so be thinking of that. I began by saying something different. I began speculating that there could be a time, not a moment, but a time, and 1960 might as well be it, when the thaw started to thaw, when people felt that they had come not back to ideology but to the end of the end of ideology. Which is to say, when the ’50s became the ’60s, I mean, there was a change. It may not, conveniently, have happened at the date in the year when there was a zero and a young man became president, because in fact he was maybe more of a Cold War era president than his predecessor, and things didn’t work out so well immediately, but there were all kinds of other things happening. That Stanley Kunitz could be able to say — without reading anything or looking around or being aware of these active communities — could say that this was a time of consolidation, and that there really wasn’t anything new happening, while in fact all this stuff that you heard tonight was happening, and was easily accessible — of course, the anthologies hadn’t come out, neither of them mentioned here tonight had come out when Kunitz made those remarks, but there was all kinds of stuff that was available — that he could say that was essentially his effort, conscious or unconscious, at reaffirming the pattern that had been going on through the late ’40s and ’50s in the so-called McCarthy era, that that was coming to an end as many of the people or the poets that you heard about tonight were finding ways to publication, were gathering together, or, in Eigner’s situation, isolated but approached by someone like, first, [Cid] Corman from the radio, and then Creeley by letter, things were starting to happen. Now, those who would be looking at a Beat-centric or Black Mountain-centric point of view would date this thaw earlier in small pockets, but it seems to be that 1960, while not any kind of turning point, is a good enough time to be experiencing the very diverse expressions of change— although yes, we have our choice, our lists, you know, let’s name a book of 1960 that's not on the list, anybody? [Philip] Larkin has a big book, but that’s in England. I will send you all a list of books that I didn’t invite people to talk about — so, yes there’s that, but there’s a fairly great range of activity going on here and someone like Kunitz would not have seen it, didn’t read it, wasn’t interested in it. This seems to me a good enough time to mark the beginning of something different. And it’s not simply The New American Poetry that does that, although it’s great to have that in context. I would invite any of our presenters to say a final word in a few seconds starting with Danny. SNELSON: I mean it is a really provocative question about nostalgia earlier, and I think that what I was trying to say earlier is the development of technology, which I was presenting on, coming out of the deep Cold War — in the ’60s the transistor was developed and electronics were being explored for the first time — I think if there is really any nostalgia for young scholars, there’s nostalgia for a medium and a mode of poetic production, which no longer exists. It’s interesting this is all before mimeograph, right? A major mode of distribution, and this is before it came into prominence, so in 1960 book publication is still the dominant mode of dissemination, and a poem means a very different thing than in the ’70s when Xeroxes and distribution are easy, and now when all writing is incredibly cheap and everywhere. So, I think there is a real nostalgia for that kind of production and the weight put into words on the printed page. And our hunting them down, these dusty yellowed copies of books that we all brought today, that would be my fetishistic ending. FILREIS: That can’t be true. HENNESSEY: She’ll probably kill me for saying that. On the flipside, speaking to contemporary notions of how this works, for those of us who didn’t have the pleasure of interacting with Pack or Duncan directly, I’m moved by the received-ness of all this for better or for worse, but I think there’s something beautiful about the fact that an event like this is going out live over the web, and I really like how Rachel brought up materiality. For instance, what is your copy of Second Avenue worth? What is this worth on AbeBooks? In this era, those sorts of limits become less restricting because of the work that Ubu does or Eclipse or PennSound or Jacket and Jacket2, that because of those sorts of boundaries of access, one doesn't have to go — especially because of somebody like Danny — one doesn’t have to find the yellowed, brittle copy. One can find a beautiful PDF that they can read on their iPhone on their morning commute. FILREIS: And with that who needs nostalgia? Erica, did you want to say something? KAUFMAN: One tiny thought that Ron might be able to answer for me is when was Duncan’s Homosexual in American Society? DUPLESSIS: ’44, reprinted in Jimmy and Lucy’s House of K.
FILREIS: Published maybe in Politics first, or in Partisan Review? BERNSTEIN: [Comments off-mic] The very fact that he published that essay at that time, and the consequences for him because he did that, made him, makes him, a hero. A great essay. SPEAKER: Was After Lorca published in 1960? SMITH: A few names that didn’t come up just in terms of a larger context in moving toward some of the positive changes in the 1960s. Ornette Coleman. The Coltrane Quartet formed in 1960. I mean, the jazz world was at possibly its ultimate height. Armstrong was still going, Ellington was going, and then you had The New Thing coming in as well, and the hard bop scene completely alive as well. So, that, I’m nostalgic for that, actually. SILLIMAN: Two quick thoughts, one on timing and one on a person. With regards to the mimeograph — the mimeograph existed throughout the 1950s, but like the very first stages of Web 2.0, video, YouTube stuff, it was high-end technology. You had to get a hold of it. There were an inordinate number of San Francisco poets who typed up the schedules at the Greyhound depot on Seventh Street in order to get access to its mimeograph machine, which J Press and Enkidu Surrogate and a whole slew of other materials came out of. I assume the same thing occurred in New York because the really early presses of people like LeRoi Jones were in fact mimeograph, and they were in the 1950s. That’s one. The other is a name that Rod mentioned in one of the letters he was quoting, which was Henry Rago. Henry Rago was the editor of Poetry from 1954 until he died of a heart attack in, I believe, 1966 or ’67. SILLIMAN: Was it ’69? That late? Maybe that’s true, but for the first seven years of that tenure, the work he chose to publish was exactly like the Pack-Hall-Simpson anthology. After 1961, he starts publishing Duncan, Ashbery, Eigner, me, Zukofsky, a ton of other people. FILREIS: He published [Melvin] Tolson early despite Karl Shapiro’s cruel effort to make that not happen. Footnote: Henry Rago was on sabbatical in 1960 and John Frederick Nim was the editor of Poetry that year. SILLIMAN: And he died on sabbatical and was replaced by Daryl Hine, who was the one-year replacement, and who was a Canadian formalist poet who I believe is still around. DUPLESSIS: My final thought is a little bit of a response to Charles. I don’t think that poets are necessarily better than their time, nor are intellectuals. On the other hand, one thing that happens is that people who are in that cadre, that sort of material cadre, might be articulating contradictions between things more fully than the run-of-the-mill person more saturated in direct doses of ideology. And it seems to me, and I’m sort of working on this without exculpating Creeley, Olson, Pound, and so on, that there is a lot of contradiction in their thinking at the time in relationship to the female of the species and sexual minorities. And those contradictions were generally solved by them after they endured them, in ways that we would consider retrograde. What interests me is the fact of these contradictions being articulated, which you can see in various ways, letters and essays and so on, and the fact that the solution to the contradictions was basically the hegemonic that we see. I think it’s very important to honor their thinking as contradictory and to resist their solutions, that is, the solution that we’ve seen and we’re criticizing. FILREIS: Mel, and then Chris. MEL NICHOLS: Just some various thoughts based on some of the things people have been talking about. Thinking about technology and nostalgias: that Darren Wershler book, The Iron Whim, is a look at the typewriter and nostalgia, I was thinking of as you were talking about that. And also one thing that hasn’t come up is that a number of the poets or people, or other poets that weren't mentioned but were sort of in the mix with the people we were talking about, served in World War II, and had those experiences that they were bringing with them into things. Also, thinking about the social situations, political situations, thinking of Biotherm, which is 1961, 1962. There’s this section where O’Hara says he gets on the train and somebody says, “speaking of faggots,” and “why am I always carrying something with me?” And then the final thing I wanted to say was related to the Donald Allen anthology and different aspects of it. I learned something recently which was that “Personism” was written for those poetics statements in the back, but that Donald Allen said no, you have to write something else, we can’t put that in there, which I thought was kind of a hoot, actually. Thank you. FILREIS: Thank you, Mel. Chris? FUNKHOUSER: One of my favorite takeaway samples from this evening came from Bob Perelman’s talk—was it “non-aesthetic closure”? Is that the phrase you used with regard to The New American Poetry? I’m nostalgic for that! PERELMAN: It’s on the tape. I’m nostalgic for it myself. FUNKHOUSER: Because there’s a potential openness in that — there was a bit of a free for all, right? The thing in reading Jackson’s book that surprised me — because I first read and got to know him when he was a fairly, dare I say, crotchety older guy and his poetry seems more rigid — is that these poems, they were so liberated and fun and funny and wild. SPEAKER: He was still crotchety. FUNKHOUSER: But I was surprised. Jackson certainly did not hide his affinity with the Beats: titles of poems in Stanzas for Iris Lezak have Burroughs and Ginsberg in them. He wrote about his connection with the Beats in an unpublished essay, and Dan Kane talks about Jackson being with the Beats in his book. But anyway, this idea, if we can learn something from that non-aesthetic closure, good for us. And I guess I’m suddenly realizing, in a way, the multimedia environment of the field I’m involved with [digital poetry], has a kind of openness, where there are no rules or expectations to have to conform to. We’re lucky to be able to do whatever we want; no one tells us to produce a poem or assemble a publication in a particular way. I like having that ability to be open, and bringing together discrepant or disparate elements in order to make a statement, so this non-aesthetic closure sounds good. FILREIS: I have to say that your presentation had a clever thing about it, which was the desktop image of Jackson, which had to have been from the late ’60s or early ’70s, but it was a subliminal message that your thesis about his relationship to the Beats was right, because he looked so much like a beatnik there. It was clever, because that was later. I’m sure he was very clean cut in 1960. Bob? PERELMAN: What to say? I think the notion of knowable chronology is actually quite a chimera. On the one hand the Allen anthology is so utterly obvious, and on the other hand I find some of the juxtapositions mysterious and to be something that we haven't quite even grokked yet. The future is still to come, but the present is still to come too. FILREIS: Okay, can it be brief? JACOB RUSSELL: I graduated from high school in 1960, and I was listening and there’s a few things that seem maybe not too literary that kept crossing my mind as a feeling of contradiction of what was so important in living at that time. For instance, coming from Kansas City, where there were black radio stations and white radio stations. From “(How Much Is) That Doggie in the Window” and “If I Knew You Were Comin’ I’d’ve Baked a Cake” to “Rock Around the Clock” and “Hound Dog,” where there was a convergence of popular sorts, popular culture, of influences that no longer could correspond to the kind of privileged things that we saw as influencing continuity. The way, historically, we look at the passing on of poetry, it’s like it comes through a tube, a kind of cannon. What happened in the ’60s is, in a way … We, unintentionally perhaps, listening here, we are redefining and recreating that tube and shoving that history back into it, and limiting all of this detritus, which really is maybe as important as any of the big things, the Holocaust, World War II, and the Civil Rights Movement and so on, that what we live in now is a milieu where the canon has exploded and there is no way we can privilege particular kinds of influence. This is what I remember as being the most important part of coming out of the ’60s. FILREIS: Beautifully put, and this is a recommendation of the work that, for instance, Danny Snelson does by finding the old materials, making them available so that people can just search the web, put in “1960” and get the high, the low, and the convergences that you described. And what is, in fact — since a couple of you mentioned the 1960 blog that I’ve been writing the last few years — what’s so fun about finding fairly random things with 1960, ranging from the goofy movies that were coming out but that are still relatively hard to find with Netflix, or the breakthrough Volkswagon advertising campaign, which was a ’59 to ’60 thing, you just immerse yourself in these things and you can get a slice. It is deep rather than wide, but it’s actually quite instructive. So, thank you for that comment. I wanted to say just a few things and then I’m going to say the names of the presenters so that we can thank them and invite everybody to go hightail it into the dining room and stay around and interact with our presenters and also with each other and enjoy the Writers House. First, I want to say that if anyone who has been witness to the event would like to write a follow-up comment, commentary, or maybe offer your own retrospective review on something from 1960, I would invite you to do that or elaborate on a comment or question that you made, please get in touch with me. I’m going to be curating some kind of, quasi-curating, some kind of follow-up so that the symposium that's published in Jacket2 will include the presentations, some part of the transcript of the Q&A, and then lots of people responding, including those who are not here tonight. So, if you're interested in that, please let me know. And so, I want to make sure where I’ve got my list, because it’s a number of people, and I don’t want to leave anybody out. Let’s please, after I finish reminding you who they are, let’s please thank these people, some of whom came quite a distance: Danny Snelson, Erica Kaufman, Bob Perelman, Mel Nichols, Ron Silliman, Judith Goldman from Chicago by video, Chris Funkhouser, Kristen Gallagher, Mike Hennessey, Rachel Blau DuPlessis, and Charles Bernstein. Thank them, and thank you very much. That was terrific.